Tribune Chronicle / Marc Weems Mahoning Valley shortstop Tyler Freeman throws to first base during a game last week at Eastwood Field. Just 13 months out of high school, Freeman has gotten off to a great start in his first year in the New York-Penn League. 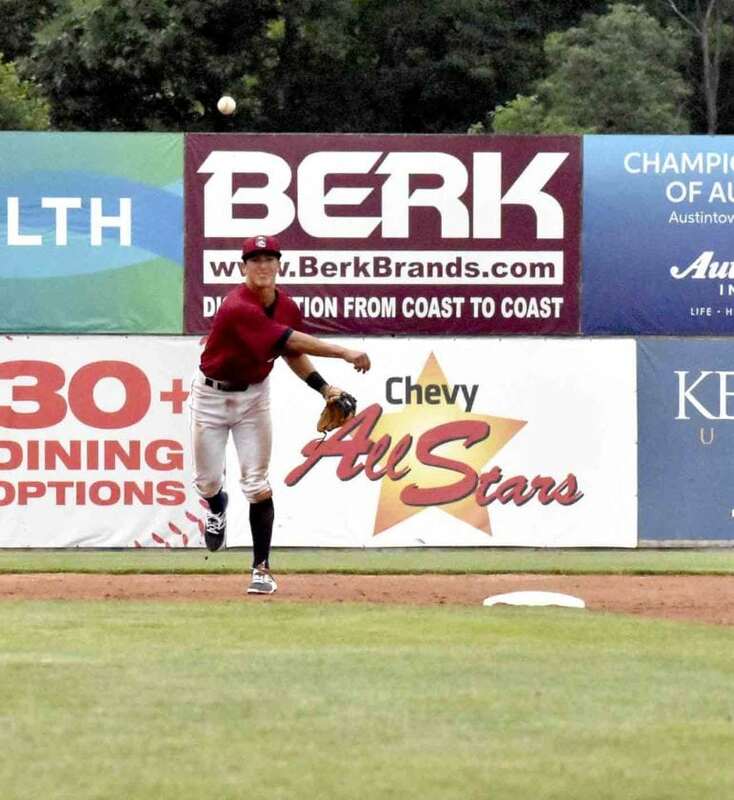 NILES — Just over 13 months ago, Mahoning Valley Scrappers shortstop Tyler Freeman was still in high school at Etiwanda High School in Rancho Cucamonga, California. Now, 18 months from that moment, Freeman is tearing it up with the Scrappers through eight games. For him, it hasn’t changed much at all in his mind. Last year, Freeman batted .297 with two home runs and 14 runs batted in the Arizona League. He also hit nine doubles and struck out just 12 times in 36 games with the Rookie League Indians. Through eight games with Mahoning Valley, Freeman is batting .433 with 13 hits, five doubles, and he has driven in 10 runs. He ranks second in average (Elvis Perez, .522) and ranks first in RBI. He also has the most hits and doubles on the team. The Scrappers are definitely having fun through eight games so far. With just one loss in those eight games, Mahoning Valley has enjoyed the start of the year. They lead the New York-Penn League with a team .288 average and are second with six home runs. So far, they’ve driven in the most runs and have scored the most in the league. For the Scrappers, it is about staying the way they are for the time being. At 7-1 and in command of the Pinckney Division, the Scrappers will have to continue to hit and pitch well the rest of the year.